Can you give me an example of a function f(x) such that its limit as x approaches a from right and that as x approaches a from left are equal, the function is defined at the point a but the function is not continuous at the point a? 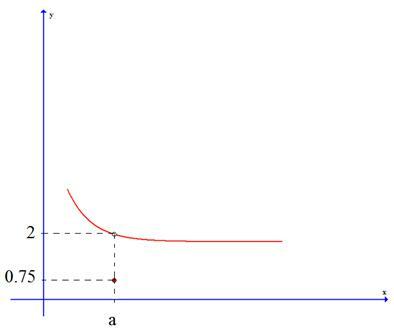 In this function both lateral limits equal 2 at point a, but they don't equal the value of f(a). So, it isn't continuous. For more details about how to determine whether a function is continuous or not: Continuous Functions: An Intuitive Introduction. Armed Security Guard Companies - Looking for an armed security guard company to protect yourself, your institution, or your valuables? If so, you’ll want to be sure that the company you select will assign a licensed, experienced armed-security professional who is committed to providing you with the fullest sense of safety and confidence. The website is totally about calculus and it contains lot of useful stuff about calculus which is very helpful for those who want to get some help in calculus. This function is very interesting and this function is very useful for everyone. It's really great function. Join in and write your own page! It's easy to do. How? Simply click here to return to General Calculus Questions.